Our rooms are light, welcoming, cosy and comfortable. With 10 double rooms, our bed & breakfast is of a modest size that enables us to give you individual, personal attention. Our guest lounge is always open offering the perfect place for convivial get-togethers with family and friends. Bathrobes for use in the well-being area are available for you in your room. In the morning you can savour a sumptuous buffet breakfast. 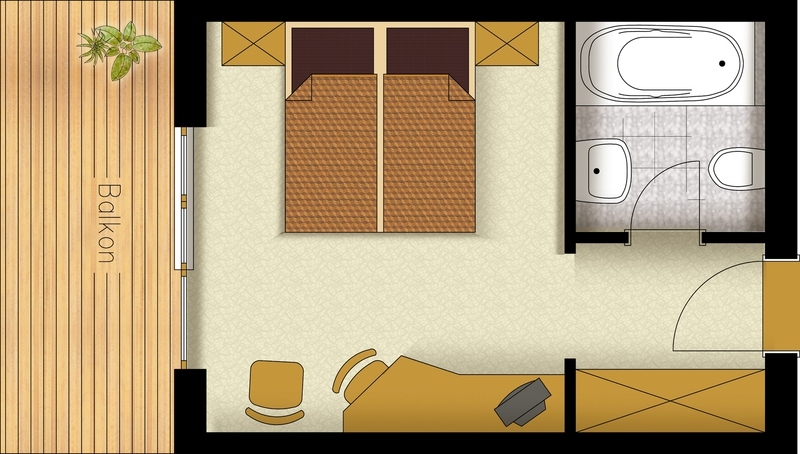 One parking space is reserved for every room at no extra cost. Enjoy a relaxing stay here with us. In these rooms the bedroom and living area are separated by means of a sliding door. The couch in the living area can function as a single or double bed making the room ideal for families. These rooms all have a balcony. 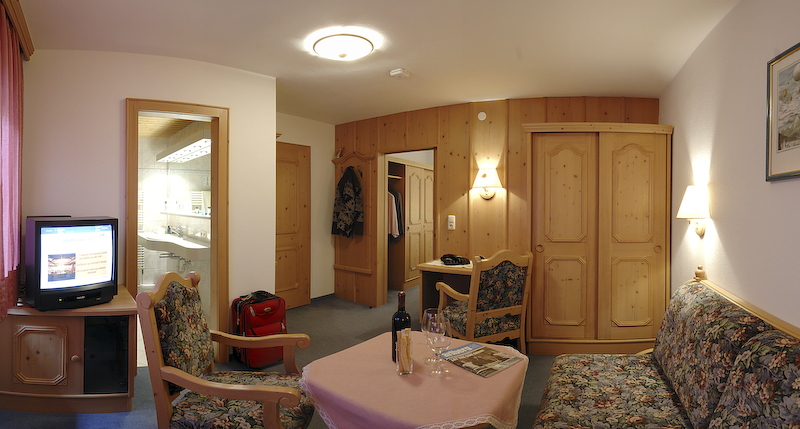 Accessed directly from the room, the balcony offers stunning views of Lech and the surrounding mountain landscape. 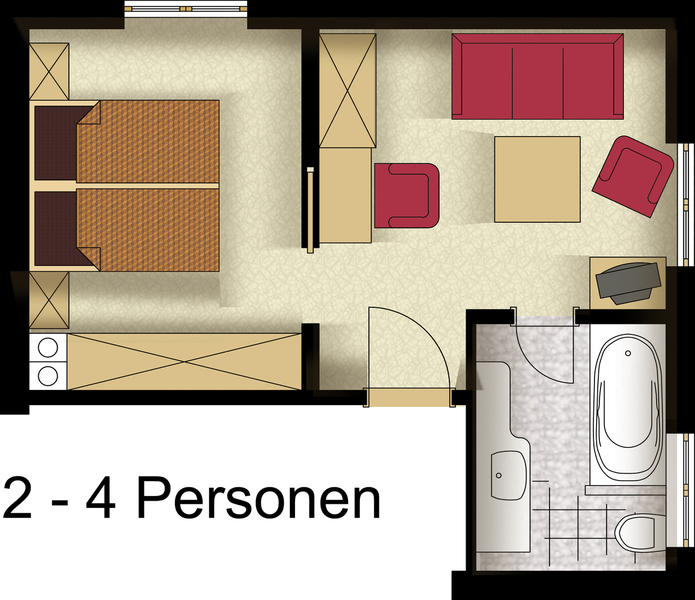 Theses are our simplest room, yet they offer everything except a bath and a balcony. 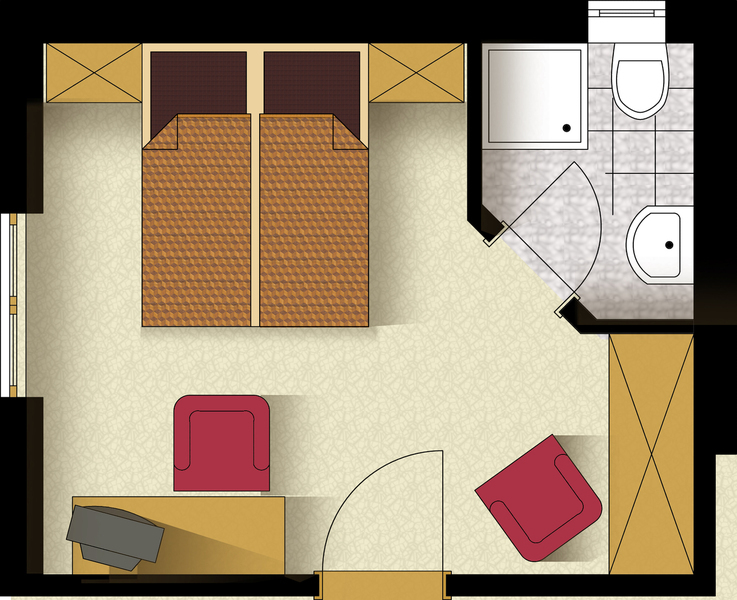 One of the standard rooms is large enough to accommodate an additional bed.